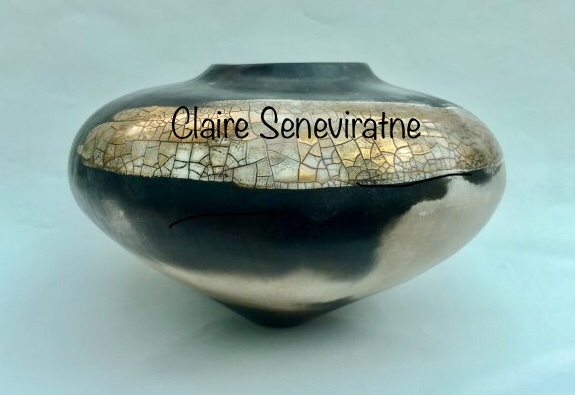 Claire Seneviratne - Ceramic Artist: Round smoke-fired porcelain vessel with gold lustre. Round smoke-fired porcelain vessel with gold lustre. Burnished porcelain, smoke-fired in sawdust with gold lustre. To get a better look at this pot see ‘Video 3’ in the blog/vlog section.